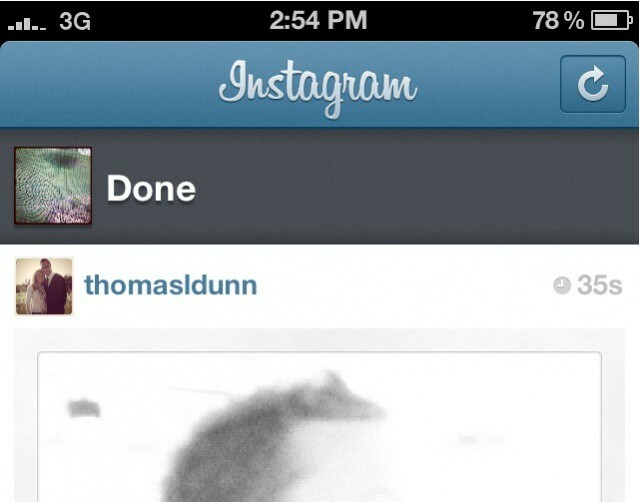 When are you really "Done," Instagram? We here at Cult of Mac just can’t get enough of Instagram. It’s really hard to not love the little photo sharing app, even after it got bought by Facebook for $1 billion. 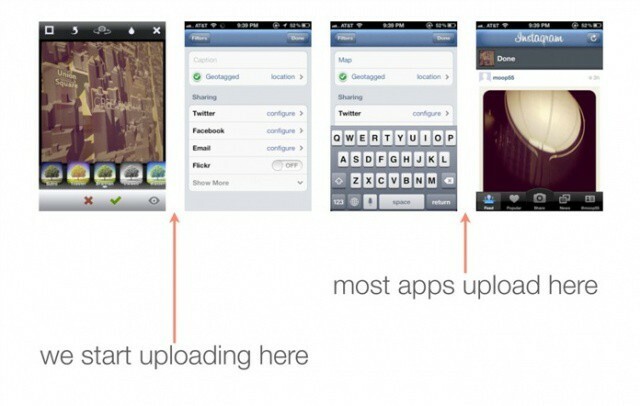 Have you ever wondered why images upload so quickly in Instagram? The whole app feels super snappy, and images can seem to upload instantly after you take a picture and apply a filter. What kind of magic is going on in the background? As it turns out, the app’s design tricks you into believing its working faster than it really is. Instagram co-founder Mike Krieger gave an interesting talk on his company’s hugely successful app at the “Warm Gun” design conference last December. The trick to Instagram’s snappiness is what Krieger called “moving bits in the background.” Essentially, actions are completed before the app’s design visually notifies the user. Move bits when no-one’s watching. What we see is our photo instantly upload right when we tap the “Done” button, but Instagram is actually working in the background to get that photo up from the moment we take it. That’s smart design.